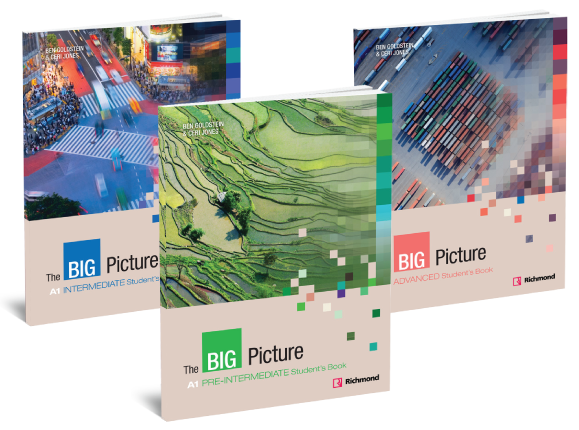 The Big Picture is a beautifully designed six-level general English course for adult and young adult learners. It uses striking imagery to present core vocabulary, capture the learner’s attention and encourage critical discussion. The content is genuinely international and the course takes a refreshingly new look at many familiar topics. It also offers both students and teachers access to The Big Picture Learning Platform, a comprehensive online resource which includes the Richmond Virtual Learning Environment and a user friendly test generator.